At WishingWell WebHosting, not only do we focus on humanitarian initiatives, we also understand the impact our business activities can have on our environment. So here's what we do, as a start. We're working with a specialist organisation devoted to carbon sequestration initiatives and calculating our carbon footprint, Carbon Neutral Ltd. 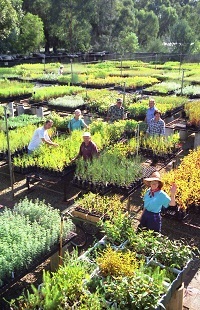 Carbon Neutral is an Australian not for profit company working with hundreds of organisations and thousands of individuals to measure, reduce and offset greenhouse gas emissions and implement revegetation projects. Being a new company, we have thought forward and pre purchased 20 tonnes of carbon units and setting up our internal systems to measure and account for our activity. Once we have more data we can balance out our emissions. Now as an organisation we won't stop there. We are currently developing strategies with our data centre to increase energy efficiency and source green power supplies. It’s a work in progress that's a core value to our business and a benefit to our community, especially in the potenial of an emerging carbon economy. Over one thousand organisations and three thousand individuals have contributed to helping restore the environment through Carbon Neutral to date resulting in the planting of around 2.8 million trees or over 2,000 hectares of land over 130 sites. The following is an abridged version of the 10 main myths of climate change published by The Climate Institute in July 2010. The world is warming at a rate unprecedented in human history. Global air temperatures, humidity and rainfall patterns show a distinct 'fingerprint' that cannot be explained without the rise in emissions of carbon dioxide (CO2) and other greenhouse gases caused by human activity. The level of CO2 has risen sharply and is now about 30 % higher than at any time for 800,000 years. Globally, the average temperature has risen by about 0.75°C over the last 100 years. The rate of warming is increasing and over the 50 years from 1956 to 2005 the world warmed about 0.13°C, on average, every decade. In Australia, the mean temperature has increased between 0.7°C and 2°C since 1960. The number of days with record hot temperatures has increased each decade, with the decade from 2000 to 2009 being Australia's warmest on record. MYTH 1. Scientists can't agree. The jury is still out. Fact: An overwhelming majority of scientists agree that human activity is largely responsible for recent warming. There is consensus among scientists that the climate is being changed by human activity, in the same way as there is consensus on the existence of gravity or that the Earth is round. MYTH 2. It's just part of natural change. Fact: The climate has changed throughout the Earth's history but this isn't the same as saying that global warming in today's era is natural. In fact, past changes help scientists to understand the sensitivity of the global climate to forces such as the Sun, volcanoes and greenhouse gases. MYTH 3. The globe has stopped warming. Fact: Temperature records clearly show the world has continued to warm over the past century. MYTH 4. It's the sun. Fact: The Sun obviously has a big influence on the Earth but changes in the Sun's activity cannot explain the rise in global temperatures in recent decades. If anything, the Sun's output has diminished in recent decades yet the world is still warming. MYTH 5. Scientists have exaggerated claims that the world's glaciers are disappearing. Fact: The IPCC's 2007 assessment report holds up extremely well under the most rigorous, independent scrutiny. It's important to keep things in perspective: Among hundreds of pages of projected regional impacts, only three "significant errors" have been confirmed, all of which were honest mistakes and none of which affect the IPCC's overarching advice. MYTH 6. Volcanoes emit more carbon dioxide than humans possibly could. Fact: Volcanoes emit less than 1% of the CO2 humans put into the atmosphere in a year. This percentage is growing smaller as emissions from human activities continue to rise. MYTH 7. Carbon dioxide is not a pollutant; it's natural and essential for life. Fact: 'Natural' does not always equal 'safe'. Rapidly increasing high concentrations of CO2 and other greenhouse gases generated by human activity are jeopardising human health and wellbeing, as are most pollutants. MYTH 8. Far back in time, global warming episodes had nothing to do with carbon dioxide levels. Fact: Carbon role of CO2 in the planet's history is reasonably well understood. While changes in CO2 levels are certainly not the only force at work on the climate, past climate change cannot be explained without an understanding of the greenhouse properties of CO2. MYTH 9. Australia has always had droughts, heat waves and extreme bushfire weather. There is no link to climate change. Fact: Droughts, heat waves and bushfires are far from unusual in Australia but many scientists say there is a human signature in recent extreme events, making Australia's already highly variable climate even more hostile. MYTH 10. Global Warming is good for us! Fact: While we can all hope for the best, left unchecked, climate change will undoubtedly make life a lot harder for many people, especially those who can least financially afford to adapt.